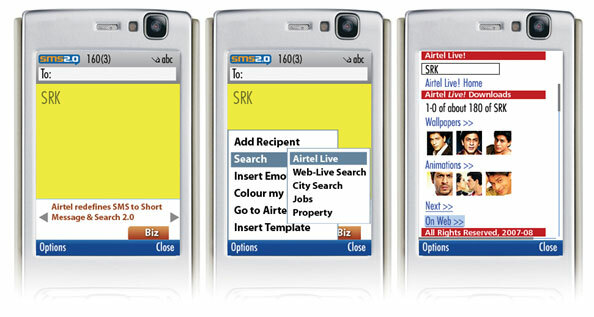 Airtel’s SMS 2.0 application has been accepted widely which enables the users to send colourful messages, view ads, read news on the new interface. 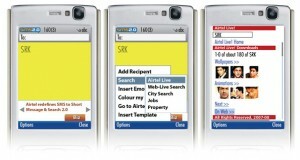 Now Airtel in collaboration with Affle have expanded the use of SMS 2.0 app. It offers integrated search which will allow Airtel users to Search in Airtel Live, Internet, Local search, Jobs and Property listings from their SMS screen. The service is free as Airtel will compensate it from its advertisers. This is a smart move from Airtel as they can know what their users are searching and effectively target specific users for specific ads. To download the application, Airtel users need to send SMS2 to 543210. There is no charge for downloading and for subsequent content delivery on this platform.